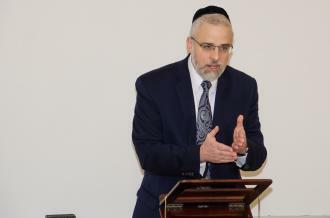 Baltimore, MD - Dec. 26, 2018 - In the second aliyah (portion) of Parshas Shemos, there are two parts that are critical to the process of Yetzias Mitzrayim. The first part relates the story of the miyaldos (midwives) and their refusal to follow Pharaoh's decree of killing baby boys. The second part relates Amram remarrying Yocheved, and the birth of their son, Moshe. Yocheved and Miriam, also known as Shifra and Puah, played an instrumental role in bringing the savior of the Jewish people into the world. Although these 2 stories are connected, Moshe's birth is not their reward for evading the decree of Pharoah. They were given batim—dynasties of Kehunah, Leviyah, and Malchus. Shifra and Puah enabled these batim (houses), the structure and strength of the Jewish people, to be born, and were therefore rewarded with dynasties. Moshe was not part of the house of the Jewish people in the same fashion; therefore, their role in his birth was not considered to be their reward.